Islamic duas, if practised on a regular basis, keep us in close harmony with God - the Creator of everything. These powerful prayers are an important part of your spiritual arsenal because without the remembrance of God, no success is permanent. 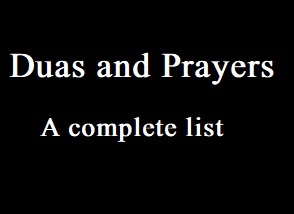 Some of the duas on the list are not directly from both Quran and hadith, but are based on the principles of these two scriptures.